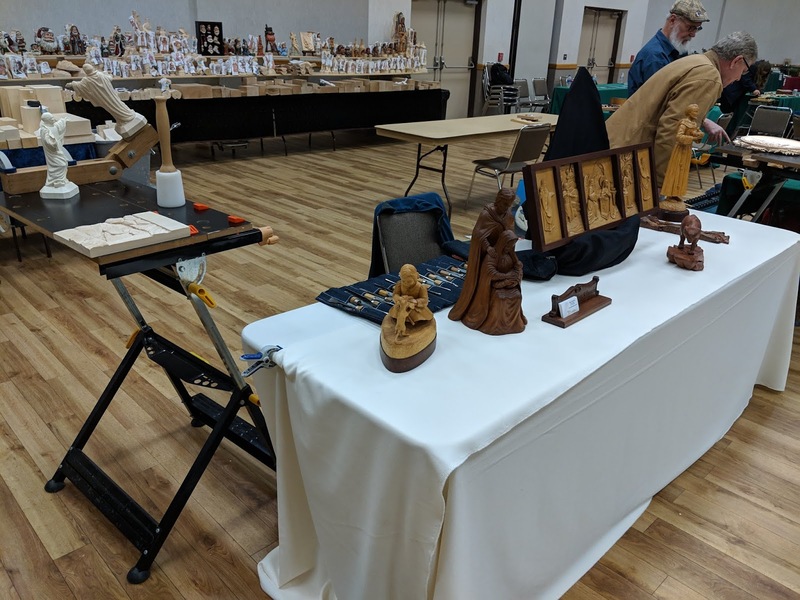 Last weekend was the 2019 North Texas Woodcarving Guild Spring show at the Grapevine Convention Center. Attendance was up this year and there were many great works on display. I enjoy encouraging carvers and spreading interest in the art form. 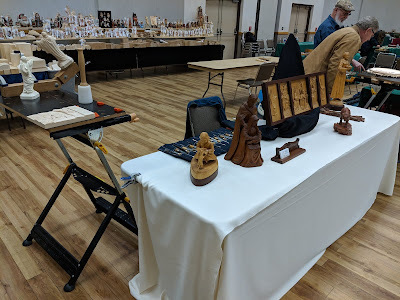 I spent most of the time answering questions about carving and providing some impromptu instruction. The side effect of so much activity is that I did not get many photos of all there was to see. 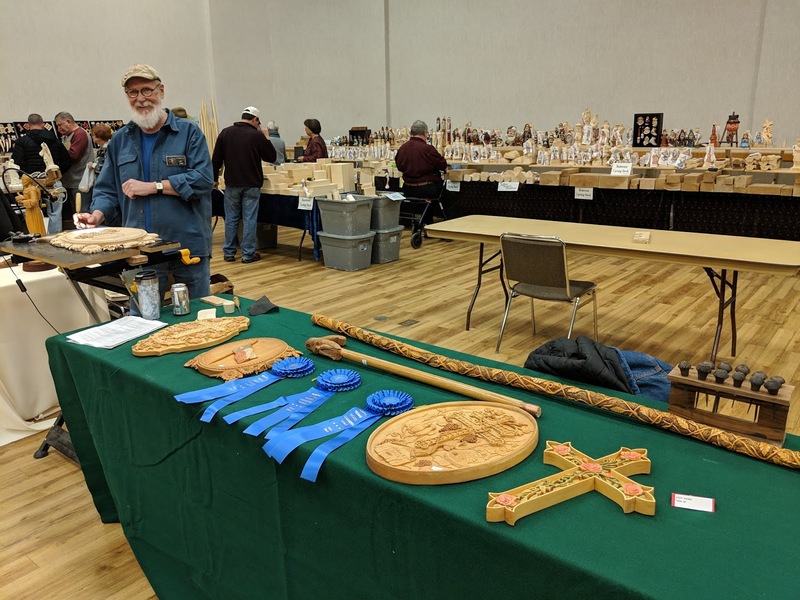 One photo I did get was of Jody Webb's table with the three first place ribbons he won. Congratulations Jody! If you made it to the show, I'd love to hear your thoughts. If you did not make it, I hope to see you there next year.